Situated in the county of Hampshire, Waterlooville is a town close to the southern coastline of England. With a population of around 20,000, Portsmouth lies less than 10 miles to the south of Waterlooville. At My Home Move Conveyancing we have been developing our knowledge of local property markets like Waterlooville since 2002, allowing us to bring our clients in the area an outstanding specialist conveyancing service. You’ll need to instruct the services of a lawyer to complete the legal work on your behalf when buying or selling property in Waterlooville. 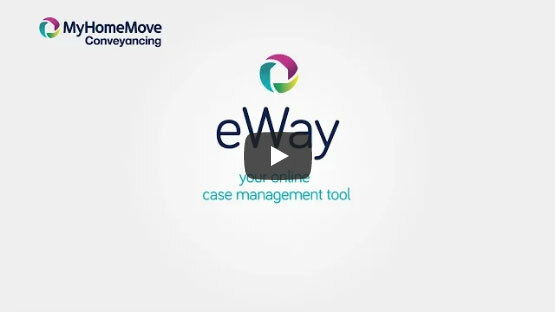 Let My Home Move Conveyancing act as your Waterlooville conveyancers, and take advantage of our award winning customer service, innovative use of technology and detailed knowledge of the local market. Our conveyancing service comes for a fixed fee, meaning there are no extra hidden costs to worry about. If for some reason you don’t end up moving, you won’t have to pay us a thing in legal costs. You will be assigned a dedicated conveyancer who will look after your case from start to finish, providing you with regular updates to complement the online access you will have to your account with us. At My Home Move Conveyancing we are pleased to supply our conveyancing services in Waterlooville to customers across the local area, including those in central spots to neighbourhoods such as Wecock Farm on the outskirts and surrounding areas including Denmead. The average house price in Hampshire is £251,446, while in Waterlooville during the past year the overall average sale price was £269,036. Most sales in the area involved detached properties, which went for an average price of £348,930, while semi-detached properties sold for an average of £253,518, and terraces for £207,266. Lying within the Borough of Havant, Waterlooville is surrounded by plenty of lovely countryside, and offers close proximity to the South Downs National Park. The southern coastline of England is also within striking distance, offering lots of potential for great days out or trips into nearby Portsmouth, which is around 8 miles away. The nearest train station can be found a few miles away in Bedhampton, which offers services to Portsmouth that take around 15 minutes. With the initial trip to Bedhampton however, taking the bus is a popular option for getting to Portsmouth. Bedhampton does offer services to London Waterloo that take around an hour and a half, while the A3(M) runs to the east of Waterlooville providing access to London and the national motorway network. There are some good schools in the area for parents to take into account, with primary options including Morelands Primary and Purbrook Junior School on Aldermoor Road East. Oaklands Catholic on Stakes Hill Road and Barton Cross’s Horndean Technology College are among the choices at secondary level. All properties in Waterlooville will fall within one of the following council tax bands.